An Alzheimer's vaccine has moved closer to becoming a reality after research found that preventing a build-up of toxic brain proteins is possible. Scientists experimenting on mice found that if injected into skin the DNA vaccine could potentially delay the onset of Alzheimer's with no serious side-effects. 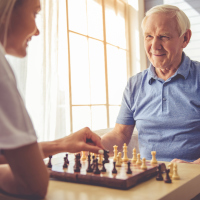 The encouraging findings, which have been published in the Alzheimer's Research and Therapy journal, could pave the way for clinical trials with human patients. Two kinds of toxic protein or protein building blocks are thought to play a key role in Alzheimer's - beta-amyloid and tau. Tau is a protein which produces destructive "tangles" within nerve cells. Some research suggests that the two are linked, with beta-amyloid promoting the formation of tau tangles. In the study the vaccine triggered an immune response that not only led to a 40% reduction in beta-amyloid build-up, but also reduced tau formation by 50%. The research was conducted on mice which were genetically engineered to develop a rodent equivalent of Alzheimer's disease. Lead scientist Dr Roger Rosenberg, director of the Alzheimer's Disease Centre at the University of Texas in the US, said: "This study is the culmination of a decade of research that has repeatedly demonstrated that this vaccine can effectively and safely target in animal models what we think may cause Alzheimer's disease. "I believe we're getting close to testing this therapy in people." A major obstacle to developing effective Alzheimer's vaccines has been finding safe ways to introduce them to the body. One previous experimental vaccine developed in the early 2000s caused brain swelling in some patients when tested on humans but the new vaccine is injected into skin instead of muscle, which leads to a different kind of immune response. If repeated in humans, the effects seen in mice would have "major therapeutic value", said the researchers. If you're living with Alzheimer's and are looking for travel insurance that meets your specific needs then check out our dedicated Alzheimer's travel insurance options.